The truth is, this “business model” is not sustainable for myself and my family, and should we not find enough in pledges to offset our ongoing commitments, I will have to step down from this position of full-time guardian at the gate. Since 2013, I’ve been advocating for and organizing on behalf of some of our most at-risk students who attend some of the lowest performing public schools in the state. I have not been able to accomplish any of this by myself, and now, more than ever, I am asking for your help. My journey began when teachers, staff and parents reached out to myself and another parent, Erin Korbylo, to help organize against a poorly conceived plan to overhaul the Academy @ Shawnee after our dynamic turnaround principal was forced to submit a leave of absence, despite the huge momentum the school was experiencing under his leadership. We may have been too late to prevent him from leaving us, but we did win the fight to put the plan on hold until a new principal could be named! Next, in the summer of 2015, we were called into action again. 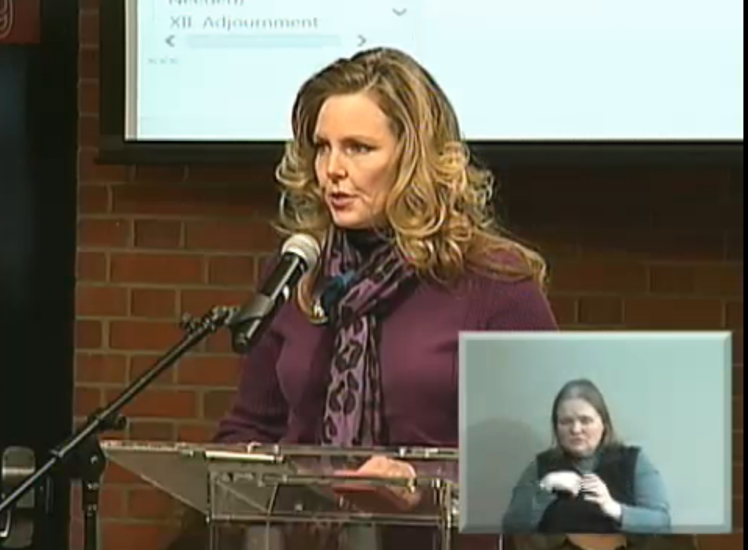 This time to prevent the outsourcing of the Challenger Learning Center at Shawnee to the Kentucky Science Center. Unfortunately, we lost that battle (which remains unaddressed to this day). But in the process, Dear JCPS was born. In December of 2015, Dear JCPS launched an open letter campaign to the district that began the unraveling of the corrupt privatization agenda. Later that same month, newly (and narrowly) elected Matt Bevin came to the West End and said, “we’re going to bring charter schools to Kentucky, and we’re going to start in the West End!” That’s when my Momma Bear really kicked in. When I returned to Kentucky, I started looking for other like-minded organizations that I could join and offer my marketing skills and energy to. None existed. With the help of many allies around the state, as well as in other states, Save our Schools KY was formed. In May, 2016, I sounded the alarm and called for Hargens-enabling, chamber-friendly, David Jones, Jr. to “take this bull by the horns or we will vote you out.” In November of 2016, “vote him out” we did. We also campaigned to keep another dark money candidate from infiltrating our school board. Both efforts were successful. The successful candidates ran on a campaign to hold our inept superintendent accountable, or to find a way to remove her. In February of 2017, I spearheaded a rally asking her to step down. On April 13 (my son’s birthday), despite her recent 4-year contract renewal, she announced she would be stepping down! In January of 2018, our suspicions about David Jones, Jr. were confirmed when the secret meetings and intentions of SCALA were revealed. I fought back as other so-called “think tanks” popped up to continue to advocate for a state takeover of JCPS. In the first quarter of 2018, Save Our Schools KY also successfully sent people to the capitol on an almost-daily basis, reminding Bevin’s ALEC henchmen we were keeping an eye on them. We made sure people were there in force until the final hours of session, by planning a two-day rally at the end. Keeping pressure on legislators the entire time, helped prevent charter school funding and scholarship tax credits from making it onto the floor during the 60-day budget session. Two days later, Bevin stacked the KDE board with charter school proponents, and they subsequently removed competent commissioner and replaced him with a slick charter salesman. This summer, our voices helped prevent a hearing and a state takeover of the largest district in the state. That spring, we targeted legislators who voted for the charter school bill and recruited folks to run against them. I also identified candidates who were backed by ALEC and did what I could to keep them from getting elected. But our work there is just beginning. In other words, we’ve been busy! But everything we’ve accomplished thus far could be lost if we don’t build a more sustainable model for the future. And while I hope some day there is no more need for what I’m doing, right now, the need is severe. There are predators around every corner. And that’s why I’m asking for your help. First, I have a success story. My son, who benefits from the privileges of coming from a middle income, low-trauma environment, with a no-nonsense mom who advocates for him (like most of us), took full advantage of the opportunities afforded to him at his “persistently low achieving,” aka, “priority,” school. And that’s why I’m asking for your help. Second, I am putting my skills and experience to good use. I have extensive, successful corporate organizational skills and experience, as well as nearly a decade of experience being self-employed. I’m good at what I do. Project management and marketing are my wheelhouse, and that’s what’s allowed me the ability to create brands around Dear JCPS and Save Our Schools KY, and organize numerous direct actions that have led to RESULTS! And that’s why I’m asking for your help. Third, I’m un(der)employed (or maybe unemployable is a better term, due to my reputation for being an agitator). So I have the time to donate my talent where it can make the greatest impact. And that’s what I’ve been doing, full time, for the past 4 or 5 years. And as much as I believe in the cause and would love nothing more than to continue to donate my time and talent, and spare change, when I have it, I can no longer afford to do so. I have to find an income, even if only a meager one, to make sure we keep a roof over our heads and food on our tables. Yes, I could sell my modest home and move into something more affordable, but the truth is, I shouldn’t have to. Not if I can ask for help from the community who may not be fully aware of what is going on around them, or who do know but don’t have the luxury of being there all the time. I’m more than happy to stay engaged as a surrogate for those who can’t. And that’s why I’m asking for your help. Fourth, I’m willing and able to lead. It’s not that I’m even that smart or experienced when it comes to education or politics. And especially education politics! But I’ve assembled an amazing team. We have experts in a wide range of topics and they give generously of their time and talent, when it’s needed the most. We have teachers who trust us. They know they can come to us and share their concerns and that we will handle them appropriately and without putting them at risk. And that’s why I’m asking for your help. Lastly, I know how to use my voice. How to exercise my right to free speech. And I’m unencumbered. What do I mean by that? I’m not at risk of losing my job over something I say. I’m not at risk of experiencing retribution for speaking truth to power. I’m not related to anyone or have some weirdly romantic history with anyone so I’m unable to speak out against their corrupt deeds or conflicts of interest publicly. And that’s why I’m asking for your help. You believed in me once, when all I was doing was running for office. Won’t you believe in me again since our greatest challenge ever still lies ahead? Please donate to Save Our Schools KY and help us protect public education in the Commonwealth from outside predators. They are at the door. In case you’re confused. I’m not running for anything. I just learned so much from the experience of campaigning for office and fundraising, I decided to approach this the same way. Honestly, I feel like I’ve made a greater impact as an agitator than I did as a candidate, and yet it was easier to raise money as a candidate. Even as a long-shot candidate, you helped me raise $15,000. That’s why I’m setting a similar goal for this effort. Won’t you please help? The good news is, we don’t have to raise the entire amount up front. It can be 20 friends committing $100 per month, or 100 friends, committing to $20 per month. Which one can I count on you to be? Like a political campaign, donations are not tax deductible, but unlike a campaign, there is no limit to the donation amount you can give. So, please give generously, and give often. Please see this list of expenditures we would like to raise for Save Our Schools Kentucky, which includes enough to pay me $2,000 per month. That’s $24,000 per year. I’ve worked in corporate marketing making over 6 figures. I’ve been donating a value along these lines for the past 4 or 5 years. I hope you agree this base salary, should we be successful in crowdsourcing it, is a steal if it helps us hold off privatizers until the national sea change reaches us locally. Please feel free to call me at 502-565-8397 if you have any other thoughts or suggestions about the best way to fund this important work. And that’s why I’m asking for your help. Please click on the link to donate today, and make your monthly commitment for 2019. I look forward to the opportunity to continue to provide this important advocacy work, with your help. P.S. The truth is, this “business model” is not sustainable for myself and my family, and should we not find enough in pledges to offset our ongoing commitments, I will have to step down from this position of full-time guardian at the gate. It hurts me to even have to write this, but I’ve seriously reached the end of any “grace periods” that have been granted to me by my family, and I now have an obligation to carry my fair share of the “workplace” load. Especially since I may soon have to anyway, in order to receive healthcare. P.P.S. I am more than willing to work for the pay. If you have any printing or embroidery needs, please let me provide you with a bid. 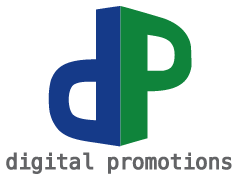 I have partnered with Digital Promotions, essentially as a sales rep, and commissions are used to pay for our organizations’ printing needs (and eventually other operations once the revenues get there).